let the rosé be popped! Pack it up, grapefriends! SUMMER. HAS. BEGUN!!!!!!!!! What’s everyone drinking this Memorial Day weekend? Obv, I’ll be rocking some rosé. Tags: memorial day, Rose, summer, wine. Bookmark the permalink. I am on the hunt for Rose Moscato Champagne from BareFoot – delicious! Love regular Moscato d’Asti – elegant sparkler for dessert! I have a bottle of Touraine Sauv Blanc to try, because I’m out of rosé. Currently on the hunt for Tablas Creek 2013 Dianthus or the Fiddlehead 2013 Pink Fiddle. Cheers! Love Tablas Creek! Haven’t had Fiddlehead’s. Cheers! 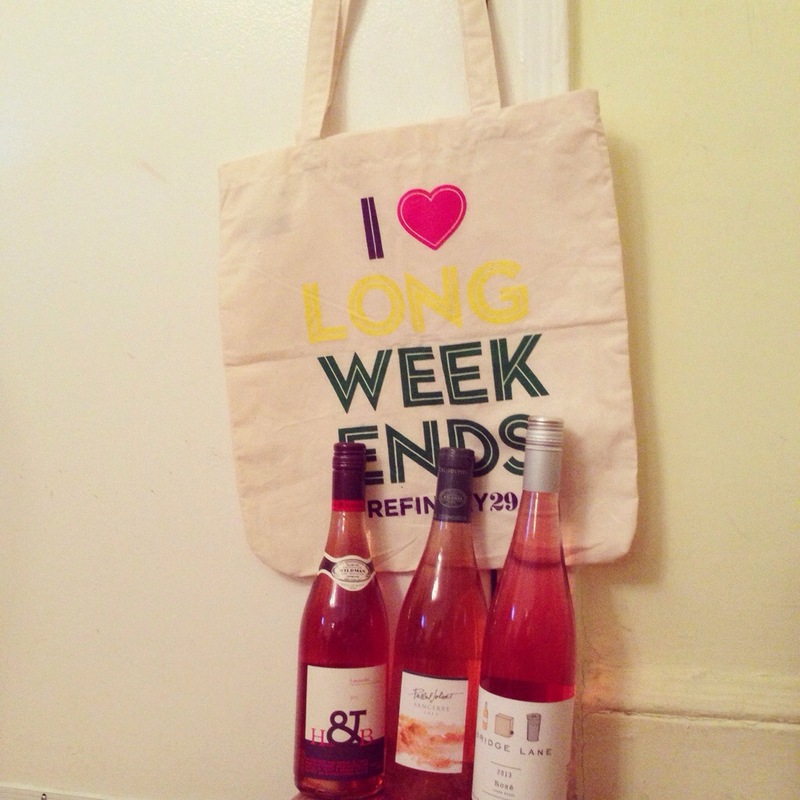 I picked up some cider for the weekend, but now rosé sounds just oh-so-good! Everyone’s getting into cider lately. Enjoy that or rosé! Prosecco cocktails and definitely some rosé!